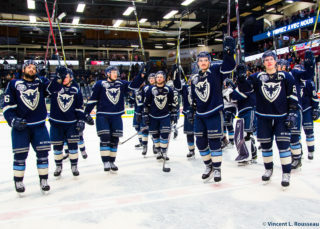 It was a wild night in Sherbrooke, Yaroslav Alexeyev finished the late two goal comeback for the Birds over the visiting Victoriaville Tigres Wednesday night, roofing the puck over a helpless James Povall to give the Birds their second straight victory and completing the comeback win in front of the hometown fans. Down 5-3 late in the third, Cody Donaghey put the Birds in striking distance with a power-play goal at 18:55. Donaghey powered in a one-timer past Povall. 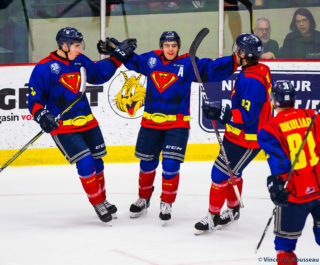 With Evan Fitzpatrick pulled in the final minute Hugo Roy hopped on a loose puck to tie the game with just seven seconds remaining in regulation to force overtime. Fitzpatrick stopped 28 of 33 shots to help the Phoenix to the extra-time victory. 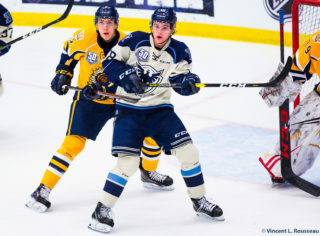 Nicolas Poulin recorded three assists, Julien Pelletier tallied two assists. Sherbrooke was 1 of 4 on the power-play. 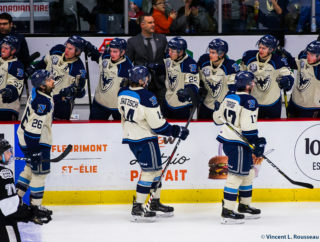 Next the Birds will look to take the momentum gained on the road against Gatineau before returning to the Palais des Sports Léopold-Drolet on Sunday to play the Blainville-Boisbriand Armada.